Brief Description: 18HP KOHLER V-TWIN PETROL ENGINE. 2WD. EXTRA SET OF HOLLOW SPIKES & CARRIERS. 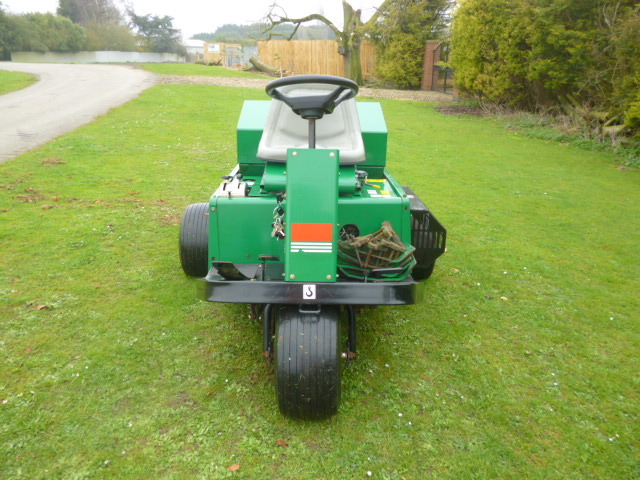 GA30 AERATOR FOR LAWN GREENS, CRICKET, FOOTBALL PITCHES. 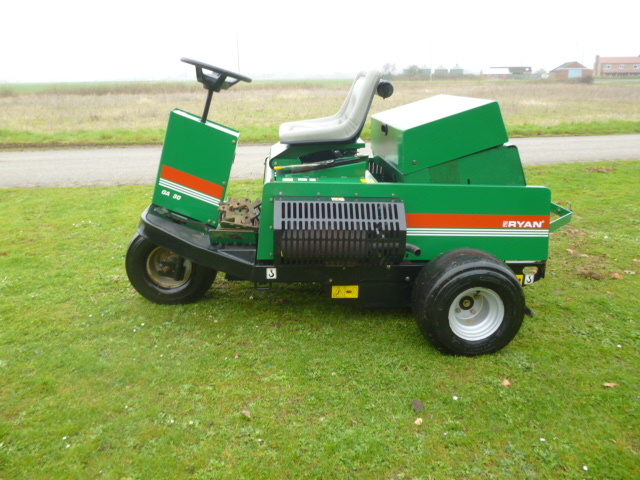 More Information: Ryan GA30 Aerator Working width: 76cm 30". 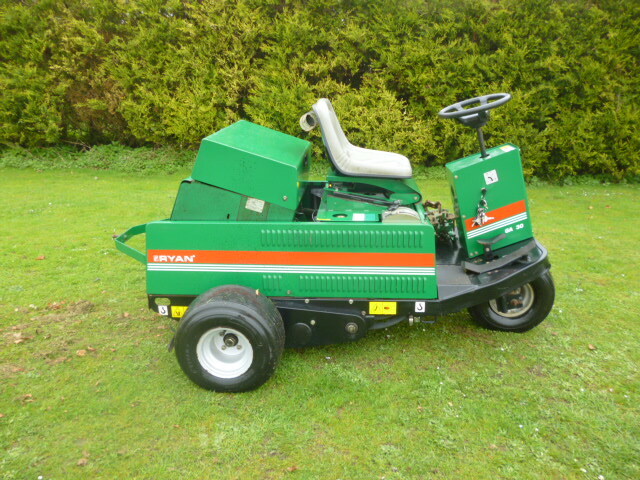 The Ryan GA30 Aerator Aerates greens, tees and fairways up to a depth of 9.5cm 3.75" with a single piece of equipment 13.4kW 18hp twin cylinder petrol engine. Coring depth up to 95mm 3.7". Unique reversing gear box ground drive return mechanism 9.5 km/h 6mph transport speed. 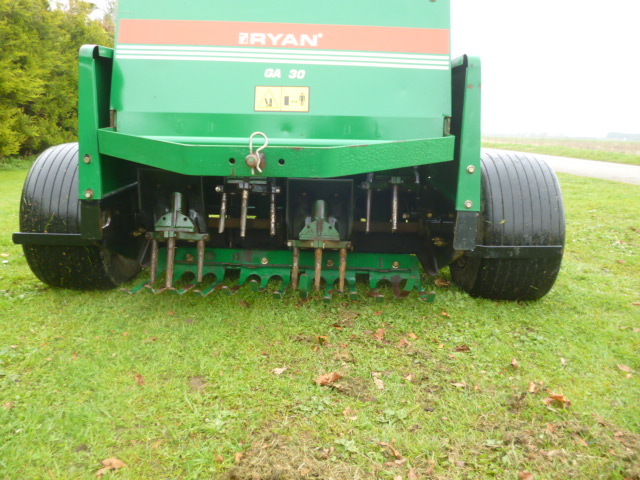 Spacing adjusts quickly and easily from the operator's seat while the Ryan GA30 Aerator is in operation Width 60 in. 1 5m Length 77.6 in. 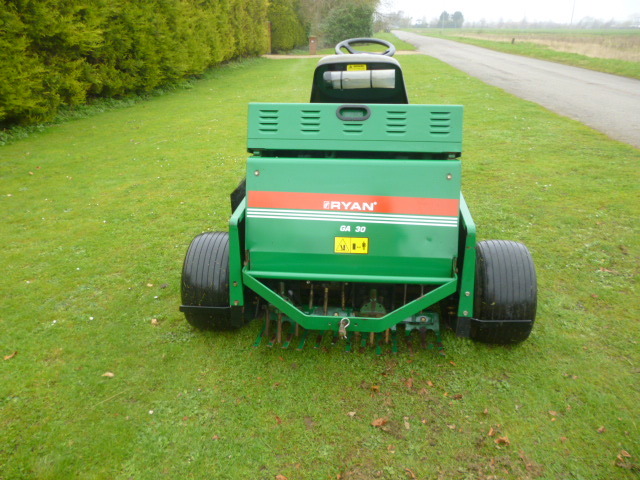 2m; Ryan GA30 Aerator Height 53.3 in. 1.4m Weight 1,402 lbs 636 kg.